Love spending a few days in a village each year. Thanks to Mom and Dad , we get to spend a few days every year at my Granny’s village near Nellore. After retirement Dad and Mom took up farming at Granny’s village. Mom loves gardening . Loves to be surrounded by greenery. 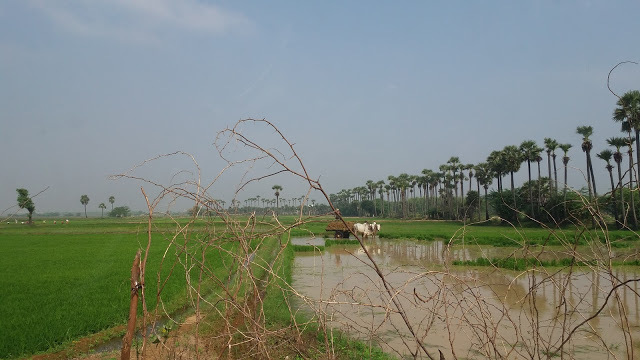 The village is about 50km from Nellore and 15 km from Kavali town. 2km from the National quadrilateral and 7km from the Bay of Bengal. Far from civilization yet not very far. 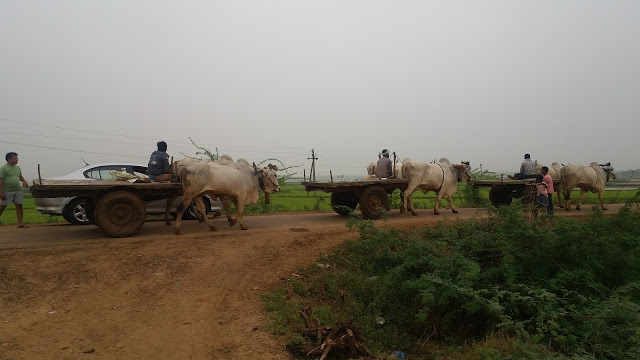 Village life revolves around agriculture and dairy farming. Cool breeze from the sea and unpolluted air invigorates the body. Fresh food , be it veggies or poultry or seafood is got straight from the source. 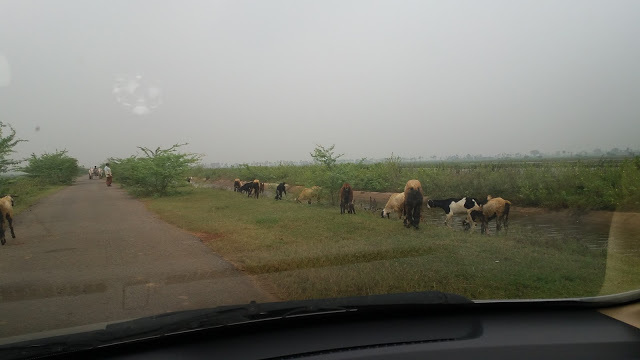 Nov to Mar is the best time to visit this place as this is the main agricultural season in Nellore district of Andhra Pradesh. 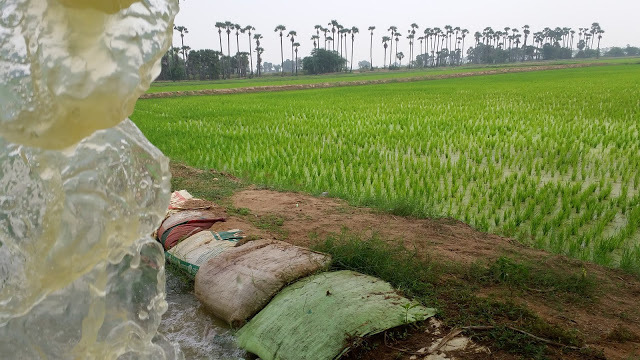 All that the village folks are interested is to grow their crops and get a bountiful harvest. Their planning is about labour , pesticides, manure , weeding, water sources. National and International events don’t make any sense. Their village , a few few villages around their village and the nearest town comprises their world. 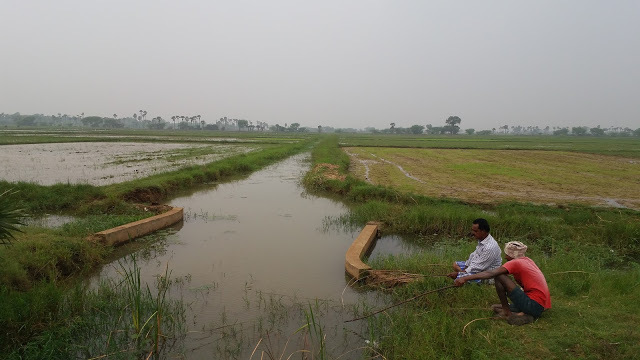 Though they are connected via TV channels and mobile phones and Internet , end of the day all that they are worried about is the wellness of their crops. The villages have their share of woes with respect to finances , water sources ,labour scarcity etc. The ultimate worry is the weather. While we in the cities are bogged down with our career and businesses . National and International politics, Economy , Global warming, pollution etc are the topics of conversation while we are totally oblivious to the problems faced in the villages. It is a strange feeling when one compares both environments. Each time i visit the village i feel as if I am travelling to another planet. And while in the village it feels as if time stands still. I get back to the city feeling rejuvenated and look forward to my next trip. 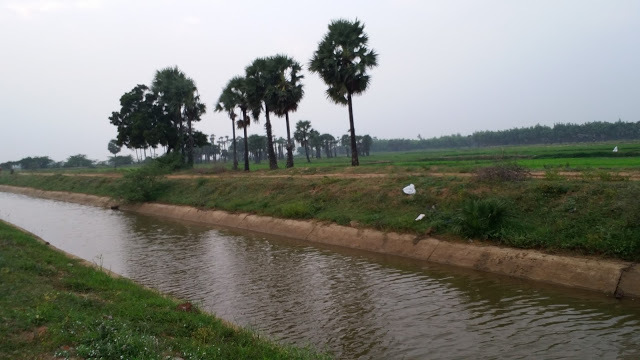 Categories: Uncategorized | Tags: village life India | Permalink.